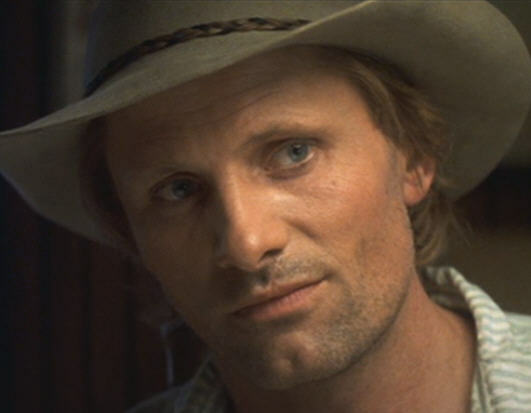 Viggo Mortensen was born on this day in New York City, New York, USA in 1958. He is 54 years old. His family lived in Venezuela, Denmark and Argentina where his father managed farms and ranches. He learned to speak fluent Danish, Spanish and English growing up. His parents divorced when he was 11 and he moved with his mother back to New York. After graduating St. Lawrence University he moved to Europe and lived in Spain, England and Denmark making his way as a truck driver and flower seller. Eventually he returned to the US ready to try his hand at acting. He did some theatre then expanded to film. His footage in 1984’s Swing Shift and Woody Allen’s The Purple Rose of Cairo ended up on the cutting room floor, but he had more luck in Peter Weir’s Witness. Mortensen played Moses Hochleitner, the younger brother to Alexander Godunov’s Daniel Hochleitner. 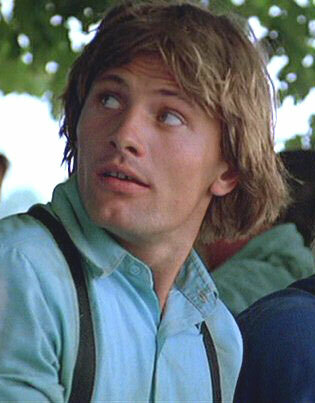 He didn’t have a lot of lines in the Harrison Ford flick, but some how he stood out from the sea of blond-haired Amish men in blue shirts. In 1987 he played a crooked cop on Miami Vice. There was more theatre too, this time in LA’s Coast Playhouse’s production of Bent, for which he earned a Dramalogue Critics’ Award. 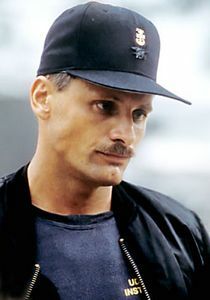 A splay of supporting roles in the 1990s saw him acting in some good movies (The Portrait of a Lady directed by Jane Campion) and some not so good movies (Leatherface: The Texas Chainsaw Massacre III) Critics started to take notice when he starred opposite Demi Moore as brutal Master Chief John Urgayle in G.I. Jane (some critics said he stole the movie from Moore) and as the other man in A Walk on the Moon with Diane Lane. He played another ‘other’ man in A Perfect Murder, a reboot of Hitchcock’s Dial M for Murder with Michael Douglas and Gwyneth Paltrow. He was Eddie Boone, a major league baseball player with a trifecta of additions in rehab with Sandra Bullock in 28 Days. And rounded out the decade by playing the devil in The Prophecy. 2001 saw the release of The Lord of the Rings: The Fellowship of the Rings, the first in Peter Jackson’s epic Tolkien cycle. 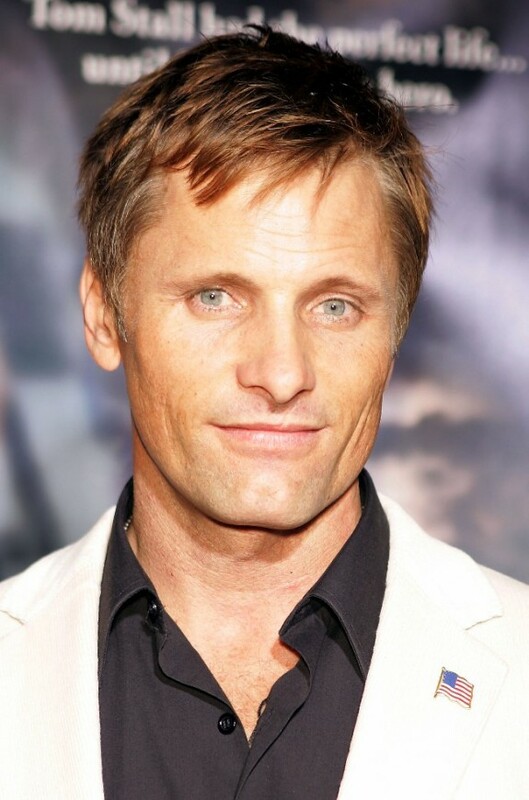 With his role as the heroic Aragorn “Mortensen was established as a major leading man among Hollywood’s A-list ranks.” [Viggo Mortensen — Biography, Movies. yahoo.com ] The Two Towers followed in 2002 and The Return of the King premiered in 2003. He brought quiet strength, “commanding good looks”[ibid] and a rye sense of humor to Aragorn. He embraced the role whole heartedly. He did all his own stunts in the movies (and took quiet a few knocks in the process). He wore his sword and costume for days on end so they would have an authentic lived in look. And he became so attached to his equine co-stars, Uraeus and Kenny, that he purchased the horses after the film wrapped and took them home. 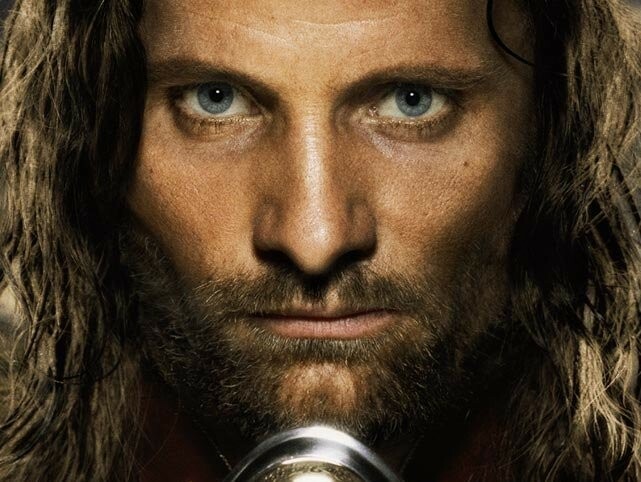 He used some of his earnings from playing Aragorn to start Perceval Press publishing house in Santa Monica, California. Mortensen’s own artistic, musical and written works are available through Perceval Press. He writes poetry, essays, and companion pieces for his paintings and photographic work in English, Spanish and Danish. Musically he has completed 16 albums, working almost exclusively with the guitarist Buckethead. Back on the silver screen was Hidalgo in 2007. It is the true story of American Frank T. Hopkins who participation in a 3,000-mile race across the Najd desert called the “Ocean of Fire”. He gave “his most compelling and carefully drawn performance to date” [ibid] as an everyday man who’s violent past catches up to him in A History of Violence a film directed by David Cronenberg. He worked with Cronenberg again in 2007 for Eastern Promises, where he played a Russian gangster. He was nominated for an Academy Award for his role in the film. In 2008 he was Ed Harris’ sidekick in the Western Appaloosa. He also starred in Good which takes place in the 1930s. Mortensen is a professor struggling to decide if he should join the Nazi party. 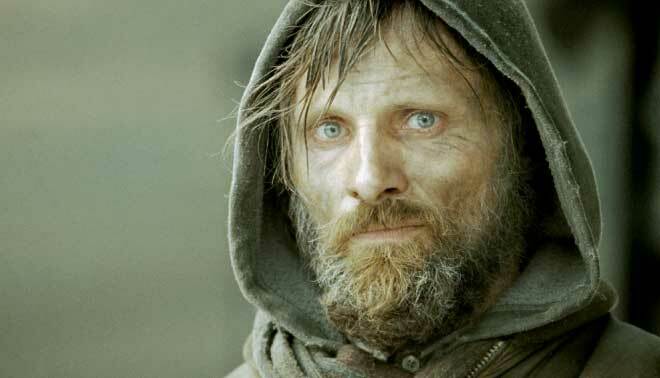 The grim Cormac McCarthy novel was the basis for Mortensen’s next movie, The Road. It is a post-apocalyptic story of a father and son trying to survive in a bleak wasteland. Once again teaming up with Cronenberg, Mortensen plays Dr. Sigmund Freud in his the 2011 film, A Dangerous Method. Coming up Mortensen has several film ready for release including: On The Road and Everybody Has a Plan; and in 2013 The Faces of January and The Last Voyage of Demeter. 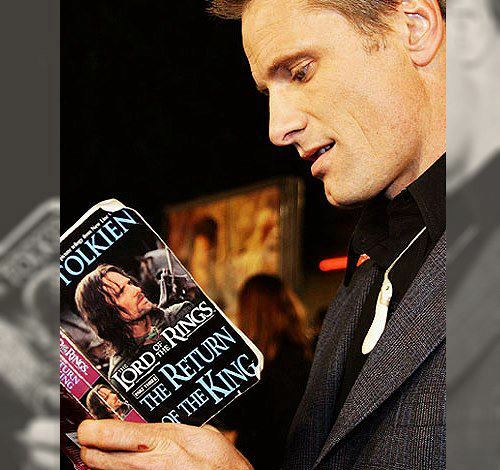 This entry was posted on Saturday, October 20th, 2012 at 8:17 pm	and posted in Art, Film, JRR Tolkien, New Zealand, Poerty, postaday, Theatre, Thought of the Day, Today's Birthday, United States, Viggo Mortensen, Writing. You can follow any responses to this entry through the RSS 2.0 feed. To me, you are becoming a constant source of well written concise relevant stories of real people. I dont really like reading the latest about stars in magazines. Yet I sorta wondered who Strider from Lord of The Rings is. May have never known. ritaLOVEStoWRITE is a terrific blog publishing biographies like this one, about one of my favorite actors. Rita’s work is a gift to the world.